It appears Twilight star Taylor Lautner has finally beaten Robert Pattinson to something finally, according to news all over the internet...no not Kristen Stewart, but "Death! That is, if you believe the current internet death hoax doing the rounds. So, Twilight fans, Lautner will live to howl again as it is nothing more than that, a hoax. If anywhere in a news release, the name of a celebrity is mentioned and the word 'dead' or 'death' is mentioned, it catches fire like crazy, and is very hard to put out. 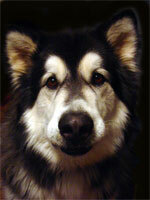 A representative has announced to all sources that they are positive Lautner is still alive and growling. This is a good thing seeing as he will be presenting some of the awards at the Golden Globe Awards at the end of January. Of course, if you believe all the rumors, he could be replaced by Billie Mays. Being the subject of an internet death hoax puts Lautner in the realm of other supposedly "dead" stars such as Mel Gibson, Tom Hanks, Miley Cyrus and Matt Damon. This time it was of a cocaine overdose. No one can trace the source of the hoax as yet. As far I am concerned, it was e-mailed personally by Michael Jackson.